Bloodborne’s second boss is the significantly more difficult Father Gascoigne. 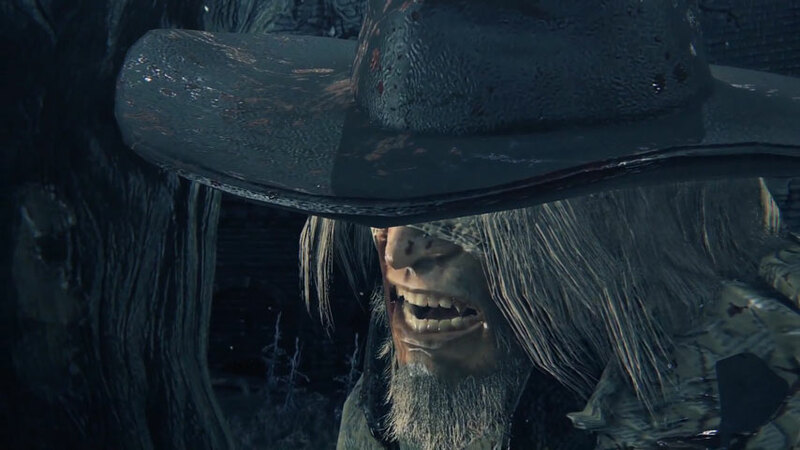 Bloodborne is all about hunters, and you’re about to learn why they’re so deadly, because Father Gascoigne is one. This is good early training for PvP, and if you’re successful you’ll win the Oedon Tomb Key. If you haven’t yet learned how to use your firearm to interrupt attacks and stun enemies, you’re about to get a masterclass; this is Gascoigne’s favourite trick. The best way to avoid this devastating result is to make sure that, whenever you’re attacking a non-stunned Gascoigne, that you only attack twice (or once, with a slower weapon), and then immediately dodge to avoid his shot. If you’re lucky and have good stats, you can do this twice before backing off to recharge your Stamina. It’s still not easy, but there is a pretty good trick: equip the Tiny Music Box and use it judiciously to freeze Gascoigne in place. You can then get behind him for a Charge Attack and Backstrike. You can be damaged while attempting to use the box, so don’t get too close, but too far and you won’t get any effect. Try firing it up after a successful dodge. Pull this trick three times, though, or get Gascoigne down to about half health, and he’ll transform into a beast. You can use the Tiny Music Box one more time after this, but it then becomes ineffective. Beast form Gascoigne goes on the attack immediately, which is a massive pain, but on the other hand he won’t shoot you: you win some, you lose some. Beast form has some very nasty claw strike combos, so when he starts slashing away back right off, or even dodge behind him. Don’t get too far away; his jumping attack isn’t easy to dodge. Generally your best position is behind the beast, or playing hide and seek among the graves – although the beast’s attacks have long range, and won’t block damage intended for you. If you find the geometry annoying, try taking the stairs up to the balcony to fight Gascoigne there. I said that Gascoigne is a masterclass in Countershots, and it’s not just because he’s so good at them; utilising your own on either of his forms will grant you the advantage. Time your shot for just as he’s winding up his attack – not after it has begun. Being too early is safer than too late, so err on the side of caution. Make sure you light the Lantern, and head back to Hunter’s Dream if you fancy it. The it’s on to the Cathedral Ward and Old Yharnam.